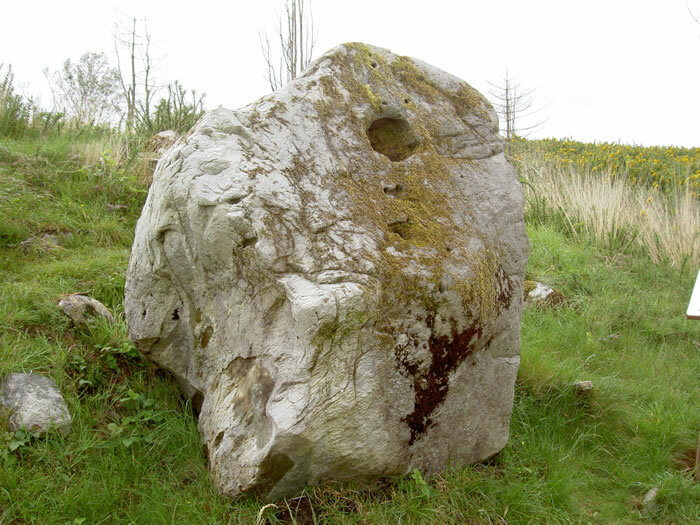 A Bullaun Stone is a large rock where a basin or bullaun has been carved out. Normally, the bullauns face upward and this example is unusual in that the bullaun is on the side of the stone. It is unclear as to the original purpose for bullaun stones. Recent research in the Bonane Area indicates that they may have been used to mark astrological alignments.